Not many get to explore the outer edges of reality, specifically that genre involving contact with beings from other realities. Those individuals subject to such contact are collectively known as ‘experiencers’ also contactee, abductee or both. These are people just like you and me, there is no special group or race that are favoured above another. There appear to be a number of races interacting with humanity whilst some we’d recognise have gender like we do, some seem genderless and this appears from historical records to have been occurring for aeons. The interviews I’ve done both on and off camera, and radio started in 2011 under the banner of The Ammach Project, and then from the end of 2015, was superseded by The ET Newsroom (ETN), has included a wide variety of intelligent people from all walks of life ranging from scientists to a retired emergency room nurse, visionaries, ex-military as well as the ordinary man/woman in the street, from other countries as well as the UK. As a result, I have come to the inescapable, unalienable conclusion that something is happening involving other intelligences, often non-human, with some members of the human race, which likely extends into the millions. On occasion, diverse information is left with the experiencers ranging from healing to catastrophic planetary conditions, ecology to free energy technologies. That contact has a profound impact on the ‘experiencer’ is without doubt. It is life changing, with long term effects on consciousness as well as the spiritual aspects of life. The facts of these encounters are unassailable, and there is a wealth of material written about such testimonies. In 1991 a Roper Poll of 6,000 people was conducted supported by Robert Bigelow, of Bigelow Aerospace; David M Jacobs, History Professor at Temple University, Budd Hopkins, artist, and Pulitzer prize winner, Dr John E Mack, Professor of Psychiatry at Harvard University. 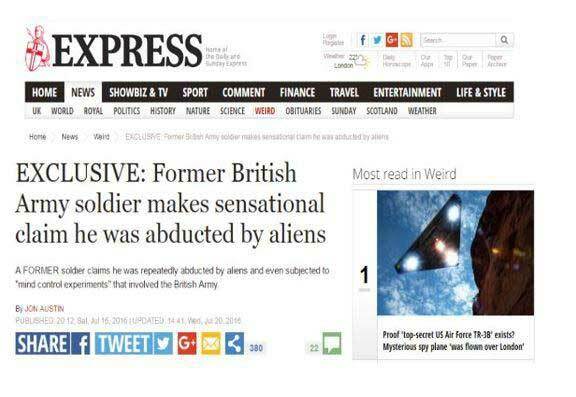 Conservative results approximated to 2% of Americans experiencing the abduction phenomena, an unexpectedly high figure, though I suspect it is in fact rather more. It was 2012, after a series of heart attacks and strokes that Bill Brooks courageously came forward and shared his story. Once a person of entrenched opinion believing the subject to be utter nonsense, Bill had a huge shock when aged 44, a tsunami of memories were suddenly downloaded, breaking through to the shores of his conscious mind, playing out every ET/UFO encounter from childhood on. 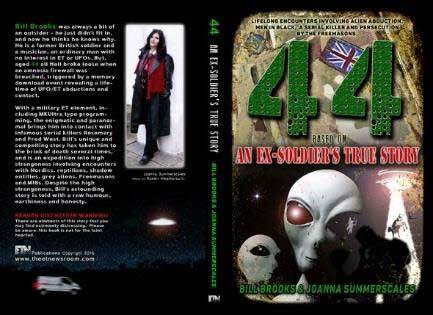 I published this first book on Amazon & Kindle, 2016, as co-author with Bill Brooks: 44-Based on an Ex-Soldier’s True Story of Life-Long Encounters Involving Alien Abduction. You’ll need your seatbelt on for this one. ETN has a dedicated contact no 0795 1752 813. In the meantime there was a bigger project that had been at the back of my mind for two or three years, whose voice was getting louder. It was the conception of an album, but not just any kind of album. I sought inspiration for something dynamic and current that would serve as a bridge between the public and the experiencer phenomenon. Thus, the album that became known as Eklectia began life sometime in February 2018, when experiencer, musician and vocalist, Dug Degnin who was interested in my work, said ‘yes’, when I asked him if this might be something he’d like to work on with me. 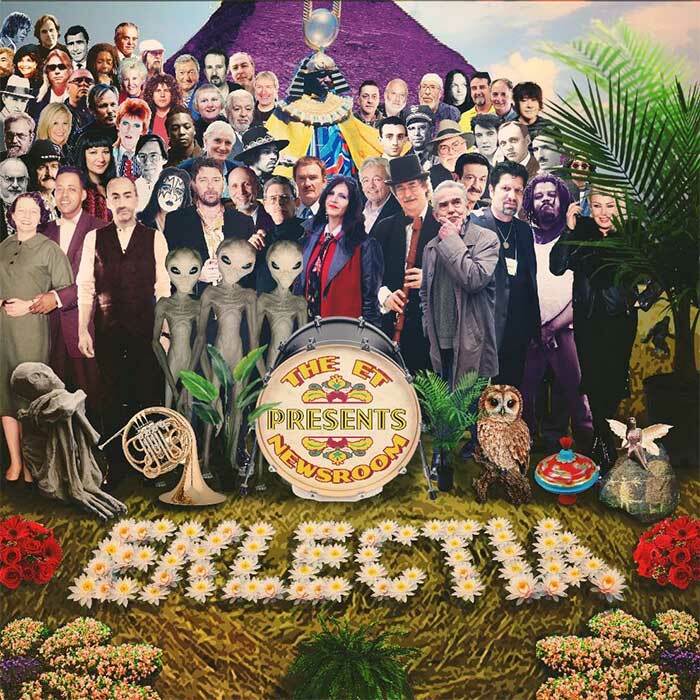 Eklectia is a unique international double compilation album, a world first, featuring original tracks, from experiencer musicians, singer/songwriters, from the UK, US and Canada, some of whom have had astounding one to one encounters with other intelligences, whilst others experienced anomalous events, as well as the paranormal, all peppered, as a result with personal growth impulses as a direct result – and the criteria for inclusion on the album. When I interviewed experiencer Chris Bledsoe from the US for a sound bite for the album, he told me about the communication he’d been given to pass on. ‘The message is in the music’, is what he was told by a feminine being not of planet Earth. This message was for researcher, Grant Cameron, also featured on the album, setting him on a trail and written up in his book, Tuned In – the Paranormal world of Music. Eklectia is a really exciting piece of work and breaks the mould as an album. The different musical genres range from classical guitar, reggae, ambient, sound healing, piano, pop, electric rock with surf rock guru, Merrell Fankhauser kicking things off on disc 1 of this two disc album. Plus you are treated to sound bites, which provide a minute or two – a snapshot spoken by the artists about their experiences, along with short interviews with researchers and science based dowsers whose evidence of interaction between alien visitors and ancient/modern civilisations is extraordinary. Even former President Jimmy Carter makes an appearance in this eclectic mix of education and entertainment. Eklectia was released 30th November, 2018 marked by a celebration, in St Leonards on Sea East Sussex, UK. All this was done on zero funds and passion for the project, we had lived and breathed Eklectia night and day, often working into the day…the goal was to create a bridge, a meeting point where those who never had an idea or interest in things of an X-Files factor type might find a point of resonance. It was a very full nine months interspersed with endless technical issues, long hours working to pay the mortgage for me, and Dug having to contend with unremitting, ongoing health conditions. He’d got the all clear regarding lymphoma, a cancerous scenario, but was often hindered by chronic psoriasis, and other debilitating ailments. He’d been a drug and sexual abuse counsellor – but after having to let that all go, he was able to spend time doing what he loved most, making music with his band, Brighton based Beachy Head Music Club. As the 30th November approached, it was with no small sense of achievement that we finally realised, we had done it. By mid-December Eklectia was out on 90% of all major online platforms, such as iTunes, Spotify, Amazon, Deezer, et all. The physical CDs apart from PR copies, will have to wait until there were funds to print them, but we were enjoying the thrill of the creation, Dug had been a brilliant right hand man, my Associate Producer, and we learned as we went along, step by step. It is a bitter sweet thing as I headed off to see family over the Christmas of 2018, Dug had already worked his PR magic and got a whole page article in the Brighton & Hove Argus on Dec 6th. Follow up PR ideas were flowing to include an EP, get onto one of the Glastonbury Festival stages for a couple of hours, and ideas for Eklectia Vol #2. Dug couldn’t wait for the New Year to roll around to get his teeth into the next phase. If you have an experience to share, or want to support the research and work I am doing, I can be contacted at theetnewsroom@gmail.com and you can view my interviews on the YouTube channel: https://www.youtube.com/user/AMMACHProject. In the meantime, enjoy Eklectia and share the love. As Canada’s ex-Minister of National Defence, and highest ranking politician to comment on the UFO issue, the Hon. Paul Hellyer said ‘UFOs are as real as the airplanes flying overhead’. This entry was posted on 16 March, 2019 in homepage and tagged JoannA Summerscales. Bookmark the permalink.